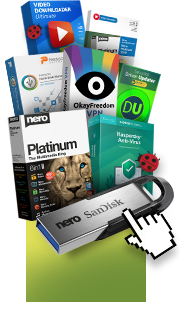 DriveSpan, Live Guide, Nero 360 VR, Nero AirBurn, Nero BackItUp, Nero Burning ROM, Nero BurnRights, Nero ControlCenter, Nero CoverDesigner, Nero Digital, Nero Disc to Device, Nero DuplicateManager ("Software"), Nero Essentials, Nero Express, Nero KnowHow, Nero KnowHow Plus, Nero LifeThemes PRO, Nero MediaBrowser, Nero MediaHome, Nero MediaHome Burning, Nero MediaHome Faces, Nero MediaHome HD Burn, Nero MediaHome Play to TV, Nero MediaHome Playback, Nero MediaHome Player, Nero MediaHome Standard, Nero MediaHome Streaming, Nero MediaHome Sync, Nero MediaHome Unlimited, Nero Receiver, Nero Recode, Nero RescueAgent, Nero SoundTrax, Nero Start, Nero Story, Nero Themes, Nero TuneItUp, Nero Video, Nero WaveEditor, NeroVision, SecurDisc, SecurDisc Viewer, Sorted View, My Sorted View, and WiFi+Transfer. THIS IS A LEGAL AGREEMENT BETWEEN YOU, THE "END USER", AND NERO AG, RUEPPURRER STR. 1A, 76137 KARLSRUHE, GERMANY. BY OPENING THE SEALED PACKING OF NERO´S SOFTWARE ON THE "EFFECTIVE DATE", YOU ARE AGREEING TO BE BOUND BY THE TERMS OF THIS AGREEMENT. IF YOU DO NOT AGREE TO THE TERMS OF THIS AGREEMENT, PROMPTLY RETURN THE SOFTWARE AND ALL THE ACCOMPANYING ITEMS (INCLUDING RELATED EXPLANATORY WRITTEN MATERIALS (“DOCUMENTATION”) AND BINDERS OR OTHER CONTAINERS) TO THE PLACE YOU OBTAINED THEM FOR A FULL REFUND. BY INSTALLING OR USING THE DOWNLOADED SOFTWARE, YOU ARE AGREEING TO BE BOUND BY THE TERMS OF THIS AGREEMENT BY MEANS OF CLICKING THE “ACCEPT” BUTTON DURING THE INSTALLATION OF THE SOFTWARE. IF YOU DO NOT AGREE TO THE TERMS OF THIS AGREEMENT, REFRAIN FROM INSTALLING THE SOFTWARE OR PROMPTLY UNINSTALL AND DELETE THE SOFTWARE AND ALL THE ACCOMPANYING ITEMS (INCLUDING DOCUMENTATION OR MANUALS) IF THE TERMS OF THIS AGREEMENT COMPRISE AN OFFER BY NERO, THEN YOUR ACCEPTANCE IS EXPRESSLY LIMITED TO THE TERMS CONTAINED OR REFERENCED HEREIN. (c) Downloading a free or trial version of the Software. If the jewel box in which you received the Software includes the word "OEM" or “Essentials” on its cover (or on the disc itself), you have acquired a copy of the Software from a Nero OEM partner. This also applies if you downloaded Software which only allows you to install under the condition that you need to connect a certain hardware device to your PC. If the jewel box in which you received the Software has only Nero&apos;s label on it and does not include the word "OEM" or “Essentials” on its cover (or on the disc itself), you have acquired a copy of the Software from either Nero or a Nero distributor. If the disc containing the software or the Software itself is labeled “TRIAL”, ”DEMO”, “FREE”, “FREEMIUM” ,“LITE” or similar terms and was downloaded free of charge via Nero’s official website www.nero.com, you have obtained a free or trial version of the Software. If the disc containing the software or the Software itself is labeled “BETA”, “PRE RELEASE” or similar, you have obtained the Software via participation in a Nero Beta program. YOU MAY ALSO HAVE CONCLUDED ANOTHER AGREEMENT DIRECTLY WITH NERO THAT SUPPLEMENTS OR SUPERSEDES ALL OR PORTIONS OF THIS AGREEMENT. NOTWITHSTANDING THE FOREGOING, ACCESS TO AND/OR USE OF CERTAIN FEATURES AND/OR SERVICES PROVIDED BY OR ACCESSED VIA THE SOFTWARE MAY BE SUBJECT TO AND REQUIRE ACCEPTANCE OF ADDITIONAL TERMS. This Agreement permits you to use one copy of the Software acquired with this license on any single computer ("OEM License") during the term of such license (“License Term”), provided the Software is in use on only one computer at any given time. If you have acquired a multiple license for the Software, then at any one time you may have in use up to as many copies of the Software as you have licenses. The Software is "in use" on a computer when it is loaded into the temporary memory or installed into the permanent memory (e.g. hard disk, CD ROM, or other storage device) of that computer, except that a copy located on a network server for the sole purpose of installation on other computers is not considered "in use". The number of users with access to the Software may not exceed the authorized number of applicable licenses. THE OEM LICENSE GRANTED HEREIN IS ONLY VALID IF ACQUIRED AS A BUNDLE WITH CD/DVD-RECORDING HARDWARE. (b) transfer the Software to a single hard disk provided you keep the original solely for backup or archival purposes. Product manual(s) or written materials accompanying the Software may not be copied. (c) you remove any and all copies of the Software from your computer and cease any further use of the Software. Any transfer must include the most recent update and all prior versions. You may not copy the Software except as expressly set forth above. You may not reverse engineer, decompile or disassemble the Software unless this right is specifically granted to you by applicable law to decompile only to achieve interoperability with other Software. You are not allowed to post or otherwise make the Software available on the World Wide Web. If you did not acquire the Software in its original packaging and you are not a transfer recipient under this subsection, you are not licensed to use the Software. Updates and Upgrades: You will have the opportunity to maintain the Software by means of Updates and Upgrades. An "Update" is a new release of the existing Software and is provided to you free of charge by Nero. An "Upgrade" is a major functional enhancement to the Software that you can purchase via the Nero website (www.nero.com). Should you decide to install an Update, the provisions of this Agreement will apply to such Update. Should you purchase an Upgrade, your rights to install and use the Software will be limited to either the originally purchased version of the Software or the Upgrade, but not both, in accordance with the provisions of this Agreement. For the avoidance of doubt, this Agreement permits you to install and use only one version (either the original version or the Upgrade) of the Software at any one time and you agree not to use, transfer or permit any third party to use the version that you have not installed. THE LIMITED WARRANTY SET FORTH IN THIS SECTION PROVIDES YOU WITH SPECIFIC LEGAL RIGHTS. YOU MAY HAVE ADDITIONAL RIGHTS BY LAW WHICH VARY FROM JURISDICTION TO JURISDICTION. NERO DOES EXPLICITLY NOT INTEND TO LIMIT YOUR WARRANTY RIGHTS TO AN EXTENT NOT PERMITTED BY LAW. PLEASE SEE SECTION E. “ LICENSE TERMS AND CONDITIONS APPLICABLE TO CERTAIN JURISDICTIONS ” FOR PROVISIONS THAT APPLY TO SPECIFIC JURISDICTIONS. NERO MAKES NO WARRANTIES TO YOU IN CONNECTION WITH THIS OEM LICENSE, INCLUDING BUT NOT LIMITED TO IMPLIED WARRANTIES OF MERCHANTABILITY AND FITNESS FOR A PARTICULAR PURPOSE. The party from whom you purchased the product with which this Software has been bundled may have warranty and/or support obligations to you. ANY CLAIMS CONCERNING PRODUCT LIABILITY FACING NERO DUE TO REGULATION 85/374/EEC WILL BE GRANTED AND ARE NOT SUBJECT OF THIS AGREEMENT. YOU MAY HAVE ADDITIONAL RIGHTS BY LAW WHICH VARY FROM JURISDICTION TO JURISDICTION. NERO DOES EXPLICITLY NOT INTEND TO LIMIT YOUR LIABILITY RIGHTS TO AN EXTENT NOT PERMITTED BY LAW. PLEASE SEE SECTION E. “ LICENSE TERMS AND CONDITIONS APPLICABLE TO CERTAIN JURISDICTIONS ” FOR PROVISIONS THAT APPLY TO SPECIFIC JURISDICTIONS. In no event shall Nero or its licensors be liable for any other damages whatsoever (including, without limitation, damages for loss of business profits, business interruption, loss of business information, or other pecuniary loss) arising out of the use of or inability to use the Software, even if Nero has been advised of the possibility of such damages. You are required to take reasonable measures to avoid damages, especially to make backup copies of the software and any valuable data stored on your PC. Nero OEM Partners are liable for those damages concerning software purchased from OEM. All proprietary rights on delivered Software are reserved to Nero unless all claims against the End User are paid off, or the check is cashed in. If reservation of proprietary rights is performed by Nero, the End User is no longer entitled to use the Software furthermore. All copies made of Nero´s Software have to be deleted completely and ultimately by the End User. Unless otherwise defined in the Agreement, the respective Documentation or at the time of purchase (e.g. purchase of a time-limited subscription license of the Software), the Agreement shall be concluded for an undefined period of time and the License Term shall be indefinite. The License Term may vary between portions of the software. Upon expiration of the License Term or termination of the Agreement, portions or all of the Software may, without prior notice, no longer be accessible by the End User. By violating the provisions about copyright and other restrictions according to sections II. and III., the End User is no longer entitled to use Nero´s Software and its accompanying items. In this case, the End User is obligated to resend original discs and all copies of data carriers and to erase completely and ultimately all data from the End User´s computer established by means of Nero´s Software. The observance of this agreement is conditional for the legal use of the Software and its accompanying items. In case of violation of any obligation stipulated in this agreement by the End User, Nero is entitled to terminate this agreement extraordinarily and immediately. The End User will keep the Software in safe custody and will indicate his members of household to follow the obligations stipulated in this agreement. The End User will follow all relevant legal provisions, especially the laws on intellectual property and copyright. THE SOFTWARE IS DESIGNED TO ASSIST YOU IN REPRODUCING MATERIAL IN WHICH YOU OWN THE COPYRIGHT OR HAVE OBTAINED PERMISSION TO COPY FROM THE COPYRIGHT OWNER. UNLESS YOU OWN THE COPYRIGHT OR HAVE PERMISSION TO COPY FROM THE COPYRIGHT OWNER, YOU MAY BE VIOLATING COPYRIGHT LAW AND BE SUBJECT TO PAYMENT OF DAMAGES AND OTHER REMEDIES. IF YOU ARE UNCERTAIN ABOUT YOUR RIGHTS, YOU SHOULD CONTACT YOUR LEGAL ADVISOR. YOU ASSUME FULL RESPONSIBILITY FOR THE LEGAL AND RESPONSIBLE USE OF THE SOFTWARE. Any use of the Nero Software by the U.S. Government is conditioned upon the Government agreeing that the Software is subject to Restricted Rights as provided under the provisions set forth in subdivision (c)(1)(ii) of Clause 252.227-7013 of the Defense Federal Acquisition Regulations Supplement, or the similar acquisition regulations of other applicable U.S. Government organizations. Manufacturer is Nero AG, Rueppurrer Str. 1a, 76137 Karlsruhe, Germany. Nero has integrated in some of Nero&apos; software applications a feature that enables you to enter a search request through the Software which will provide you with search results from a variety of sources, including the World Wide Web (the “Web Search Feature”). Nero and its affiliates do not and cannot guarantee the continuous operation of this Web Search Feature. Nero reserves the right to change the functionality of this feature or to cease supporting or integrating such feature into the Software without further notice to you. You acknowledge and agree that Nero and its affiliates shall not be liable for any delays, failures or outages relating to or arising out of use of the Web Search Feature. For additional information concerning the Web Search Feature, please visit www.nero.com. Nero has integrated a functionality into some of the Nero software applications which supports the upload, download, as well as the viewing of videos, photos, or music on "hosting services" (e.g. My Nero, Facebook, YouTube, My Space, Flickr, or ccMixter). Nero, its affiliated companies and service providers do not provide any guarantee for the uninterrupted service of this function. Nero reserves the right to change the functionality or to cease the support or the integration of this function in the software at any time without further notice. You hereby confirm that Nero and its affiliated companies do not assume any accountability for delays, errors, or failures which concern this function or which arise as a result of using the function. Certain portions of the Software include an Online Backup Functionality that is hosted and maintained by a third party and is subject to and requires acceptance of additional terms. Nero, its affiliated companies and service providers do not provide any guarantee for the uninterrupted service of this functionality. Nero reserves the right to change the functionality or to cease the support or the integration of this function in the software at any time without further notice. You hereby confirm that Nero and its affiliated companies do not assume any accountability for delays, errors, or failures which concern this function or which arise as a result of using the functionality. Some Nero software applications have the Gracenote® music recognition service included as a demo version, others as a full version. The complete Gracenote® music recognition service can be obtained by purchasing the Gracenote plug-in. Nero, its affiliated companies and service providers do not provide any guarantee for the uninterrupted service of this function. Nero reserves the right to change the functionality or to cease the support or the integration of this function in the software at any time without further notice. You hereby confirm that Nero and its affiliated companies do not assume any accountability for delays, errors, or failures which concern this function or which arise as a result of using the function. Some applications within Nero require specific technologies, some of which are available in this edition as limited (demo) versions. Online activation is available to acquire unlimited access to these technologies. This will help ensure full functionality of the Software. Internet connection or fax equipment is required for this activation. Nero will transmit and process only the data that is necessary for activating the technologies. The Software will not send any such data without your prior consent. Other than the Internet protocol address that may be considered personally identifiable information in some jurisdictions no personally identifiable information is provided to Nero. You won’t need to provide your name or other personal information during the activation process. This Agreement permits you to use one copy of the Software acquired with this license on any single computer during the term of such license (“License Term”), provided the Software is in use on only one computer at any given time. If you have acquired a multiple license for the Software, then at any one time you may have in use up to as many copies of the Software as you have licenses. The Software is "in use" on a computer when it is loaded into the temporary memory or installed into the permanent memory (e.g. hard disk, CD ROM, or other storage device) of that computer, except that a copy located on a network server for the sole purpose of installation on other computers is not considered "in use". The number of users with access to the Software may not exceed the authorized number of applicable licenses. Nero warrants that for a period of ninety (90) days from the date of receipt, the Software will perform substantially in accordance with the accompanying documentation. Any implied warranties on the Software are limited to 90 days or the shortest period permitted by applicable law, whichever is greater. Nero’s entire liability and your exclusive remedy for a breach of this warranty shall be, at Nero’s sole option, either (a) return of the price paid or (b) repair or replacement of the Software that does not meet Nero’s limited warranty and that is returned to Nero with a copy of your receipt. If failure of the Software is the result of accident, abuse, or misapplication, this limited warranty shall be void. Any replacement Software will be warranted for the remainder of the original warranty period or 30 days, whichever is longer. NERO MAKES NO OTHER WARRANTIES TO YOU IN CONNECTION WITH THIS LICENSE, INCLUDING BUT NOT LIMITED TO IMPLIED WARRANTIES OF MERCHANTABILITY AND FITNESS FOR A PARTICULAR PURPOSE. In no event shall Nero or its licensors be liable for any other damages whatsoever (including, without limitation, damages for loss of business profits, business interruption, loss of business information, or other pecuniary loss) arising out of the use of or inability to use the Software, even if Nero has been advised of the possibility of such damages. You are required to take reasonable measures to avoid damages, especially to make backup copies of the software and any valuable data stored on your PC. This Agreement permits you to use one copy of the Software acquired with this license on any single computer during the term of such license (“License Term”), provided the Software is in use on only one computer at any given time. For the avoidance of doubt, downloading multiple Copies of the Software does not imply an extension of the license beyond usage on one single computer. The Software is "in use" on a computer when it is loaded into the temporary memory or installed into the permanent memory (e.g. hard disk, CD ROM, or other storage device) of that computer. UNDER NO CONDITIONS MAY A FREE DOWNLOAD BE DISTRIBUTED WITHOUT THE PRIOR WRITTEN PERMISSION OF NERO. TO REQUEST SUCH PERMISSION, EMAIL: PRESS@NERO.COM. (a) The user is aware that it is not possible to create software programs with zero defects. (b) NERO MAKES NO WARRANTIES TO YOU IN CONNECTION WITH THIS FREE/TRIAL LICENSE, INCLUDING BUT NOT LIMITED TO IMPLIED WARRANTIES OF MERCHANTABILITY AND FITNESS FOR A PARTICULAR PURPOSE EXCEPT THOSE WARRANTIES INDISPENSABLE BY LAW. Nero is not liable for damages due to lack of property, especially for violating third party copyrights. Nero does not accept liability for any offences against this agreement caused by negligence, except from offences that caused physical injury. Free and trial (demo) versions of the Software are offered solely for personal, non-commercial use. Any distribution, purchase, sale delivery or utilization in combination with any product or service to a third party or other commercial or business purposes is expressly prohibited unless such right is specifically explicitly granted by Nero in writing. This license does not grant you the right to sublicense or distribute the Software in any form if not expressly granted by Nero in writing. THE LICENSE TERMS AND CONDITIONS APPLICABLE TO SOFTWARE PROVIDED WITHIN A NERO BETA PROGRAM ARE THE SAME AS SET FORTH IN SECTION A ABOVE, EXCEPT THAT IF THIS SOFTWARE IS DISTRIBUTED AS PART OF A NERO BETA PROGRAM THEN THE TERMS OF THE NERO BETA PARTICIPANT AGREEMENT, WHETHER OR NOT SIGNED BY BETA PARTICIPANT, WILL OVERRIDE ANY CONFLICTING TERMS IN THIS END USER LICENSE AGREEMENT. FOR AVOIDANCE OF DOUBT IT IS EXPRESSLY STATED THAT USE OF ANY BETA SOFTWARE IS AT YOUR OWN RISK. THIS SECTION SETS FORTH SPECIFIC PROVISIONS APPLICABLE TO CERTAIN JURISDICTIONS. IF ANY PROVISION IN THIS SECTION IS IN CONFLICT WITH ANY OTHER TERM OR CONDITION IN THIS AGREEMENT, THE REGULATIONS AS SET FORTH IN THIS SECTION SHALL APPLY. (a) Defects in the Software supplied including the manuals and other documentation shall be corrected by Nero within the warranty period of two years from delivery following appropriate notification by the user. This shall take the form of rectification of defects or replacement delivery at the user&apos;s choice. (b) Should Nero not be prepared or able to effect this rectification or replacement delivery, or should this take longer than a suitable deadline set by the user or fail for other reasons, the user shall be entitled to withdraw from the Contract or to demand that the sale be canceled or the purchased price reduced. Failure to rectify the defects or effect replacement delivery shall only be assumed if Nero has been afforded ample opportunity to effect the rectification or replacement delivery without the desired success being achieved, if the rectification or replacement delivery is not possible or if it is refused or unacceptably delayed by Nero, or if the rectification of defects has already been performed unsuccessfully twice. The right of the user to demand compensation under § 437 of the German Civil Code remains unaffected. (c) The user is aware that it is not possible to create software programs with zero defects. Nero shall only warrant against software defects that significantly reduce the Software&apos;s value or suitability for use as stipulated in the contract. (d) It is the responsibility of the user to determine the destination for use of the software and to select the suitable hardware/computer types. Nero shall not be liable for this. (e) Unless otherwise specified in section “Liability for consequential damages”, Nero shall only be liable for damage to the Software supplied itself; in particular Nero shall accept no liability for loss of data or other indirect losses. If failure of the Software is the result of accident, abuse, or misapplication, this warranty shall be void. Any replacement Software will be warranted for the remainder of the original warranty. NERO MAKES NO WARRANTIES TO YOU IN CONNECTION WITH IMPLIED WARRANTIES OF MERCHANTABILITY AND FITNESS FOR A PARTICULAR PURPOSE. Nero will only be liable up to the amount of damages as typically foreseeable at the time of entering into the agreement in respect of damages caused by a slightly negligent breach of a material contractual obligation and will not be liable for damages caused by a slightly negligent breach of a non-material contractual obligation while any of the above limitations will not apply to any statutory liability such as liability under the German Product Liability Act (“Produkthaftungsgesetz”) or liability for culpably caused personal injuries. If any dispute shall arise pursuant to any provision of this Agreement, the plaintiff must choose place of performance or residence of the defendant as place of jurisdiction if he is not a consumer pursuant to § 13 German Civil Code. If any term or provision of this Agreement shall be declared invalid in arbitration or by a court of competent jurisdiction, such invalidity shall be limited solely to the specific term or provision invalidated, and the remainder of this Agreement shall remain in full force and effect, according to its terms. This agreement permits you to use one copy of the software acquired with this license on any single computer in your household during the term of such license (“License Term”), provided the software is in use on only one computer at any given time. If you have acquired a multiple license for the software, then at any one time you may have in use up to as many copies of the software in your household as you have licenses. The software is "in use" on a computer when it is loaded into the temporary memory or installed into the permanent memory (e.g. hard disk, CD ROM, or other storage device) of that computer. If the anticipated number of users of the software might exceed the authorized number of licenses, then you must have a reasonable mechanism or process in place to assure that the number of concurrent uses of the software does not exceed the number of licenses. Family Pack versions of the Software are offered solely for personal, non-commercial use. Any distribution, purchase, sale delivery or utilization in combination with any product or service to a third party or other commercial or business purposes is expressly prohibited. Family Pack versions of the Software are only transferable in accordance with Section A. III if such transfer is done with all licenses obtained as part of a Nero Family Pack. Licenses obtained with a Nero Family Pack cannot be transferred separately. WM-DRM: Content providers are using the Microsoft digital rights management technology for Windows Media (“WM-DRM”) to protect the integrity of their content (“Secure Content”) so that their intellectual property, including copyright, in such content is not misappropriated. Portions of this Software and other third party applications (“WM-DRM Software”) use WM-DRM to transfer or play Secure Content. If the WM-DRM Software’s security has been compromised, owners of Secure Content (“Secure Content Owners”) may request that Microsoft revoke the WM-DRM Software’s right to copy, display, transfer and/or play Secure Content. Revocation does not alter the WM-DRM Software’s ability to play unprotected content. A list of revoked WM-DRM Software is sent to your computer whenever you download a license for Secure Content from the Internet. Microsoft may, in conjunction with such license, also download revocation lists onto your computer on behalf of Secure Content Owners. Secure Content Owners may also require you to upgrade some of the WM-DRM components distributed with this Software (“WM-DRM Upgrades”) before accessing their content. When you attempt to play such content, WM-DRM Software built by Microsoft will notify you that a WM-DRM Upgrade is required and then ask for your consent before the WM-DRM Upgrade is downloaded. WM-DRM Software used by third parties may do the same. If you decline the upgrade, you will not be able to access content that requires the WM-DRM Upgrade; however, you will still be able to access unprotected content and Secure Content that does not require the upgrade. MPEG-2 ROYALTY PRODUCT. ANY USE OF THIS PRODUCT OTHER THAN CONSUMER PERSONAL USE IN ANY MANNER THAT COMPLIES WITH THE MPEG-2 STANDARD FOR ENCODING VIDEO INFORMATION FOR PACKAGED MEDIA IS EXPRESSLY PROHIBITED WITHOUT A LICENSE UNDER APPLICABLE PATENTS IN THE MPEG-2 PATENT PORTFOLIO, WHICH LICENSE IS AVAILABLE FROM MPEG LA L.L.C., 250 STEELE STREET, SUITE 300, DENVER, COLORADO 80206. OTHER THIRD-PARTY LICENSES INCLUDED ONLY IF GRANTED IN WRITTEN. MPEG-2 INTERMEDIATE PRODUCT. USE OF THIS PRODUCT IN ANY MANNER THAT COMPLIES WITH THE MPEG-2 STANDARD IS EXPRESSLY PROHIBITED WITHOUT A LICENSE UNDER APPLICABLE PATENTS IN THE MPEG-2 PATENT PORTFOLIO, WHICH LICENSE IS AVAILABLE FROM MPEG LA, L.L.C., 250 STEELE STREET, SUITE 300, DENVER, COLORADO 80206. OTHER THIRD-PARTY LICENSES INCLUDED ONLY IF GRANTED IN WRITTEN. Use of this product in any manner that complies with the MPEG-4 Visual Standard is prohibited, except for use by a consumer engaging in personal and non-commercial activities. Supply of this product only conveys a license for private, non-commercial use and does not convey a license nor imply any right to use this product in any commercial (i.e. revenue-generating) real time broadcasting (terrestrial, satellite, cable and/or any other media), broadcasting / streaming via Internet, intranets and/or other networks or in other electronic content distribution systems, such as pay-audio or audio-on-demand applications. An independent license for such use is required. For details, please visit www.mp3licensing.com. The aac Plug-In is using the MP4 file format I/O library. This library is available under MPL from www.mpeg4ip.net. aacPlus developed by Coding Technologies (“CT”). www.codingtechnologies.com Trademarks of CT are the property of CT.
You acknowledge that the Software licensed hereunder contains third party components that are licensed pursuant to its own terms and conditions ("Embedded Software"), as specified below. A copy or location of the licenses associated with such Embedded Software is provided below. NOTWITHSTANDING ANYTHING ELSE TO THE CONTRARY IN THIS AGREEMENT, EMBEDDED SOFTWARE IS PROVIDED BY THE COPYRIGHT HOLDERS AND CONTRIBUTORS “AS IS” AND ANY EXPRESS OR IMPLIED WARRANTIES, INCLUDING, BUT NOT LIMITED TO, THE IMPLIED WARRANTIES OF MERCHANTABILITY AND FITNESS FOR A PARTICULAR PURPOSE ARE DISCLAIMED. IN NO EVENT SHALL THE FOUNDATION OR CONTRIBUTORS BE LIABLE FOR ANY DIRECT, INDIRECT, INCIDENTAL, SPECIAL, EXEMPLARY, OR CONSEQUENTIAL DAMAGES (INCLUDING, BUT NOT LIMITED TO, PROCUREMENT OF SUBSTITUTE GOODS OR SERVICES; LOSS OF USE, DATA, OR PROFITS; OR BUSINESS INTERRUPTION) HOWEVER CAUSED AND ON ANY THEORY OF LIABILITY, WHETHER IN CONTRACT, STRICT LIABILITY, OR TORT (INCLUDING NEGLIGENCE OR OTHERWISE) ARISING IN ANY WAY OUT OF THE USE OF THIS SOFTWARE, EVEN IF ADVISED OF THE POSSIBILITY OF SUCH DAMAGE." Copyright (c) 1998-2016 The OpenSSL Project. All rights reserved. Redistribution and use in source and binary forms, with or without modification, are permitted provided that the following conditions are met: 1. Redistributions of source code must retain the above copyright notice, this list of conditions and the following disclaimer. 2. Redistributions in binary form must reproduce the above copyright notice, this list of conditions and the following disclaimer in the documentation and/or other materials provided with the distribution. 3. All advertising materials mentioning features or use of this software must display the following acknowledgment: "This product includes software developed by the OpenSSL Project for use in the OpenSSL Toolkit. (http://www.openssl.org/)" 4. The names "OpenSSL Toolkit" and "OpenSSL Project" must not be used to endorse or promote products derived from this software without prior written permission. For written permission, please contact openssl-core@openssl.org. 5. Products derived from this software may not be called "OpenSSL" nor may "OpenSSL" appear in their names without prior written permission of the OpenSSL Project. 6. Redistributions of any form whatsoever must retain the following acknowledgment: "This product includes software developed by the OpenSSL Project for use in the OpenSSL Toolkit (http://www.openssl.org/)"
THIS SOFTWARE IS PROVIDED BY THE OpenSSL PROJECT “AS IS” AND ANY EXPRESSED OR IMPLIED WARRANTIES, INCLUDING, BUT NOT LIMITED TO, THE IMPLIED WARRANTIES OF MERCHANTABILITY AND FITNESS FOR A PARTICULAR PURPOSE ARE DISCLAIMED. IN NO EVENT SHALL THE OpenSSL PROJECT OR ITS CONTRIBUTORS BE LIABLE FOR ANY DIRECT, INDIRECT, INCIDENTAL, SPECIAL, EXEMPLARY, OR CONSEQUENTIAL DAMAGES (INCLUDING, BUT NOT LIMITED TO, PROCUREMENT OF SUBSTITUTE GOODS OR SERVICES; LOSS OF USE, DATA, OR PROFITS; OR BUSINESS INTERRUPTION) HOWEVER CAUSED AND ON ANY THEORY OF LIABILITY, WHETHER IN CONTRACT, STRICT LIABILITY, OR TORT (INCLUDING NEGLIGENCE OR OTHERWISE) ARISING IN ANY WAY OUT OF THE USE OF THIS SOFTWARE, EVEN IF ADVISED OF THE POSSIBILITY OF SUCH DAMAGE. Nero BackItUp uses PuTTY to transfer data over SSH. PuTTY is copyright 1997-2005 Simon Tatham. Portions of PuTTY are copyright Robert de Bath, Joris van Rantwijk, Delian Delchev, Andreas Schultz, Jeroen Massar, Wez Furlong, Nicolas Barry, Justin Bradford, Ben Harris, Malcolm Smith, Ahmad Khalifa, Markus Kuhn, and CORE SDI S.A. Permission is hereby granted, free of charge, to any person obtaining a copy of PuTTY and associated documentation files (the "Software"), to deal in the Software without restriction, including without limitation the rights to use, copy, modify, merge, publish, distribute, sublicense, and/or sell copies of the Software, and to permit persons to whom the Software is furnished to do so, subject to the following conditions: PuTTY IS PROVIDED "AS IS", WITHOUT WARRANTY OF ANY KIND, EXPRESS OR IMPLIED, INCLUDING BUT NOT LIMITED TO THE WARRANTIES OF MERCHANTABILITY, FITNESS FOR A PARTICULAR PURPOSE AND NONINFRINGEMENT. IN NO EVENT SHALL SIMON TATHAM BE LIABLE FOR ANY CLAIM, DAMAGES OR OTHER LIABILITY, WHETHER IN AN ACTION OF CONTRACT, TORT OR OTHERWISE, ARISING FROM, OUT OF OR IN CONNECTION WITH THE SOFTWARE OR THE USE OR OTHER DEALINGS IN THE SOFTWARE. AES software used in Nero BackItUp is copyright © 2002, Dr Brian Gladman, Worcester, UK. All rights reserved. The free distribution and use of AES software in both source and binary form is allowed (with or without changes) provided that: 1. Distributions of the AES source code include the above copyright notice, this list of conditions and the following disclaimer; 2. Distributions in binary form include the above copyright notice, this list of conditions and the following disclaimer in the documentation and/or other associated materials; 3. The copyright holder&apos;s name is not used to endorse products built using the AES software without specific written permission. AES software is provided &apos;as is&apos; with no explicit or implied warranties in respect of its properties, including, but not limited to, correctness and/or fitness for purpose. The AES source code can be fetched from http://fp.gladman.plus.com. In order to comply with the terms and conditions of certain Embedded Software, you may download the source code of the 7zip library from https://www.nero.com/link.php?topic_id=7106. This software uses code of FFmpeg (http://ffmpeg.org). Nero does not claim any rights to FFmpeg. FFmpeg is licensed under the Lesser GNU Lesser General Public License v 2.1. GNU Lesser General Public, Free Software Foundation, Inc., 51 Franklin Street, Fifth Floor, Boston, MA 02110-1301 USA and you can distribute it and/or modify it under the terms of such license, available via http://www.gnu.org/licenses/old-licenses/lgpl-2.1.html. In order to comply with the terms and conditions of certain Embedded Software, you may download the source code of the respective libraries from https://www.nero.com/link.php?topic_id=7107. FFmpeg is a trademark of Fabrice Bellard (originator of the FFmpeg project - FFmpeg project, http://ffmpeg.mplayerhq.hu). This application contains software from Gracenote, Inc. of Emeryville, California ("Gracenote"). The software from Gracenote (the "Gracenote Client") enables this application to do online disc identification and obtain music-related information, including name, artist, track, and title information ("Gracenote Data") from online servers ("Gracenote Servers") and to perform other functions. You may use Gracenote Data only by means of the intended End-User functions of this application software. You agree that you will use Gracenote Data, the Gracenote Client, and Gracenote Servers for your own personal non-commercial use only. You agree not to assign, copy, transfer or transmit the Gracenote Client or any Gracenote Data to any third party. YOU AGREE NOT TO USE OR EXPLOIT GRACENOTE DATA, THE GRACENOTE CLIENT, OR GRACENOTE SERVERS, EXCEPT AS EXPRESSLY PERMITTED HEREIN. You agree that your non-exclusive license to use the Gracenote Data, the Gracenote Client, and Gracenote Servers will terminate if you violate these restrictions. If your license terminates, you agree to cease any and all use of the Gracenote Data, the Gracenote Client, and Gracenote Servers. Gracenote reserves all rights in Gracenote Data, the Gracenote Client, and the Gracenote Servers, including all ownership rights. You agree that Gracenote, Inc. may enforce its rights under this Agreement against you directly in its own name. The Gracenote Client and each item of Gracenote Data are licensed to you "AS IS." Gracenote makes no representations or warranties, express or implied, regarding the accuracy of any Gracenote Data from in the Gracenote Servers. Gracenote reserves the right to delete Data from the Gracenote Servers or to change Data categories for any cause that Gracenote deems sufficient. No warranty is made that the Gracenote Client or Gracenote Servers are error-free or that functioning of Gracenote Client or Gracenote Servers will be uninterrupted. Gracenote is not obligated to provide you with any new enhanced or additional Data types or categories that Gracenote may choose to provide in the future and is free to discontinue its online service at any time. GRACENOTE DISCLAIMS ALL WARRANTIES EXPRESS OR IMPLIED, INCLUDING, BUT NOT LIMITED TO, IMPLIED WARRANTIES OF MERCHANTABILITY, FITNESS FOR A PARTICULAR PURPOSE, TITLE, AND NON-INFRINGEMENT. GRACENOTE DOES NOT WARRANT THE RESULTS THAT WILL BE OBTAINED BY YOUR USE OF THE GRACENOTE CLIENT OR ANY GRACENOTE CDDB SERVER. IN NO CASE WILL GRACENOTE BE LIABLE FOR ANY CONSEQUENTIAL OR INCIDENTAL DAMAGES OR FOR ANY LOST PROFITS OR LOST REVENUES. Gracenote and CDDB are registered trademarks of Gracenote. The Gracenote logo and logotype, and the "Powered by Gracenote" logo are trademarks of Gracenote. For more information, please visit www.gracenote.com. Some of the Software products that are object of this agreement may contain redistributable update packages of Microsoft Corporation. Those update packages are for example, but not limited to, Windows6.0-KB843524-ia64.msu, Windows6.0-KB843524-x64.msu, and Windows6.0-KB843524-x86.msu. The license granted to you hereunder is a non-exclusive, royalty-free, non-transferable, non-assignable, revocable, limited, fully paid-up license to use and reproduce the Redistributable Software Component solely for your personal and internal business operations. With installing those components to your system you agree that you own a validly licensed copy of the Licensed Product for which the Redistributable Software Component applies. All other provisions of this agreement also apply to Microsoft Redistributable Software Components. Some of the Software products that are object of this agreement may contain RSA Data Security, Inc. MD5 Message-Digest Algorithm cryptographic algorithm. License to copy and use this MD5 Message-Digest Algorithm cryptographic algorithm is granted provided that it is identified as the "RSA Data Security, Inc. MD5 Message-Digest Algorithm" in all material mentioning or referencing this software or this function. RSA Data Security, Inc. makes no representations concerning either the merchantability of this MD5 Message-Digest Algorithm cryptographic algorithm or the suitability of it for any particular purpose. It is provided "as is" without express or implied warranty of any kind. Some of the Software products that are object of this agreement may contain CyberLink4Java. * Neither the name of the Cyber Garage nor the names of its contributors may be used to endorse or promote products derived from this software without specific prior written permission. CONTRIBUTORS BE LIABLE FOR ANY DIRECT, INDIRECT, INCIDENTAL, SPECIAL, EXEMPLARY, OR CONSEQUENTIAL DAMAGES (INCLUDING, BUT NOT LIMITED TO, PROCUREMENT OF SUBSTITUTE GOODS OR SERVICES; LOSS OF USE, DATA, OR PROFITS; OR BUSINESS INTERRUPTION) HOWEVER CAUSED AND ON ANY THEORY OFLIABILITY, WHETHER IN CONTRACT, STRICT LIABILITY, OR TORT (INCLUDING NEGLIGENCE OR OTHERWISE) ARISING IN ANY WAY OUT OF THE USE OF THIS SOFTWARE, EVEN IF ADVISED OF THE POSSIBILITY OF SUCH DAMAGE. Copyright (c) 2003-2010, Satoshi Konno. All rights reserved. Some of the Software products that are object of this agreement may contain Portable SDK for UPnP Devices. Copyright (c) 2000-2003 Intel Corporation. All rights reserved. This software is provided by the copyright holders and contributors “as is” and any express or implied warranties, including, but not limited to, the implied warranties of merchantability and fitness for a particular purpose are disclaimed. In no event shall copyright holders or contributors be liable for any direct, indirect, incidental, special, exemplary, or consequential damages (including, but not limited to, procurement of substitute goods or services; loss of use, data, or profits; or business interruption) however caused and on any theory of liability, whether in contract, strict liability, or tort (including negligence or otherwise) arising in any way out of the use of this software, even if advised of the possibility of such damage. THIS SOFTWARE IS PROVIDED BY THE COPYRIGHT HOLDERS ``AS IS&apos;&apos; AND ANY EXPRESS OR IMPLIED WARRANTIES, INCLUDING, BUT NOT LIMITED TO, THE IMPLIED WARRANTIES OF MERCHANTABILITY AND FITNESS FOR A PARTICULAR PURPOSE ARE DISCLAIMED. IN NO EVENT SHALL THE FREEBSD PROJECT OR CONTRIBUTORS BE LIABLE FOR ANY DIRECT, INDIRECT, INCIDENTAL, SPECIAL, EXEMPLARY, OR CONSEQUENTIAL DAMAGES (INCLUDING, BUT NOT LIMITED TO, PROCUREMENT OF SUBSTITUTE GOODS OR SERVICES; LOSS OF USE, DATA, OR PROFITS; OR BUSINESS INTERRUPTION) HOWEVER CAUSED AND ON ANY THEORY OF LIABILITY, WHETHER IN CONTRACT, STRICT LIABILITY, OR TORT (INCLUDING NEGLIGENCE OR OTHERWISE) ARISING IN ANY WAY OUT OF THE USE OF THIS SOFTWARE, EVEN IF ADVISED OF THE POSSIBILITY OF SUCH DAMAGE. THIS PRODUCT lS SOLD WITH A LIMITED LICENSE AND IS AUTHORIZED TO BE USED ONLY IN CONNECTION WITH HEVC CONTENT THAT MEETS EACH OF THE THREE FOLLOWING QUALIFICATIONS : 1) HEVC CONTENT ONLY FOR PERSONAL USE; 2) HEVC CONTENT THAT IS NOT OFFERED FOR SALE; AND (3) HEVC CONTENT THAT IS CREATED BY THE OWNER OF THE PRODUCT. THIS PRODUCT MAY NOT BE USED IN CONNECTION WITH HEVC ENCODED CONTENT CREATED BY A THIRD PARTY, WHICH THE USER HAS ORDERED OR PURCHASED FROM A THIRD PARTY, UNLESS THE USER IS SEPARATELY GRANTED RIGHTS TO USE THE PRODUCT WITH SUCH CONTENT BY A LICENSED SELLER OF THE CONTENT. YOUR USE OF THE PRODUCT IN CONNECTION WITH HEVC ENCODED CONTENT IS DEEMED ACCEPTANCE OF THE LIMITED AUTHORITY TO USE AS NOTED ABOVE. Certain features of this software are provided by the Google Drive API. Nero does not claim any rights to the Google Drive API. Certain features of this software are provided by the Microsoft OneDrive API. Nero does not claim any rights to the Microsoft OneDrive API. Reserved Font Name: Caledo, Copyright (c) 2013, Bastien Sozoo, Reserved Font Name: Ambrosia, Copyright (c) 2014, fontforge, Reserved Font Name: Xolonium, Copyright (c) 2016, Severin Meyer, Reserved Font Name: Fira Sans, Copyright (c) 2015, Carrois Corporate & Edenspiekermann AG (post@carrois.com), Reserved Font Name: HiLo-deco, Copyright (c) 2010, Stephen Wilson a.k.a. Narrowhouse, (M8R-ypk3vd@mailinator.com), Reserved Font Name: Intuitive, Copyright (c) 2011, Bruno de Souza Leão, Reserved Font Name: Comic Neue Angular Bold, Copyright (c) 2014, Craig Rozynski All Fonts licensed under the SIL OPEN FONT LICENSE. TERMINATION: This license becomes null and void if any of the above conditions are not met. Certain features of this software use the Qt Toolkit under the terms of the GNU Lesser General Public License v. 3 ("LGPL"). On each supported platform, QT is dynamically linked to the unmodified Qt libraries, as provided by the Qt Project in the pre-compiled binary format. Qt is available under the GNU Lesser General Public License version 3. GNU LESSER GENERAL PUBLIC LICENSE, Version 3, 29 June 2007. Copyright (C) 2007 Free Software Foundation, Inc. <https://fsf.org/> Everyone is permitted to copy and distribute verbatim copies of this license document, but changing it is not allowed. This version of the GNU Lesser General Public License incorporates the terms and conditions of version 3 of the GNU General Public License, supplemented by the additional permissions listed below. for portions of the Combined Work that, considered in isolation, are based on the Application, and not on the Linked Version. The "Corresponding Application Code" for a Combined Work means the object code and/or source code for the Application, including any data and utility programs needed for reproducing the Combined Work from the Application, but excluding the System Libraries of the Combined Work. these notices, as well as a reference directing the user to the copies of the GNU GPL and this license document. If any dispute shall arise pursuant to any provision of this Agreement, the plaintiff must choose place of performance or residence of the defendant as place of jurisdiction. If any term or provision of this Agreement shall be declared invalid in arbitration or by a court of competent jurisdiction, such invalidity shall be limited solely to the specific term or provision invalidated, and the remainder of this Agreement shall remain in full force and effect, according to its terms. Any provision declared invalid shall be modified to the legal provisions. Copyright © 1996-2019 Nero AG and its licensors. All rights reserved. Nero, Burn-At-Once, DriveSpan, Nero BackItUp, Nero Blu-ray Player, Nero Burning ROM, Nero BurnRights, Nero ControlCenter, Nero CoverDesigner, Nero Digital, Nero Disc to Device, Nero DuplicateManager, Nero Essentials, Nero Express, Nero KWIK Media, NeroMAX, Nero MediaHome, Nero Music2GO, Nero Recode, Nero Simply Enjoy, Nero StartSmart, Nero SoundTrax, Nero TuneItUp, Nero Video, Nero WaveEditor, NeroVision, PhotoSnap, RescueAgent, SecurDisc, the SecurDisc Logo, SmartDetect, SmartStart and Ultrabuffer are common law trademarks or registered trademarks of Nero AG. Portions of the Software utilize Microsoft Windows Media Technologies. Copyright © 1999-2002. Microsoft Corporation. All Rights Reserved. This product contains portions of imaging code owned by Pegasus Software LLC, Tampa, FL. My Space is a trademark of MySpace, Inc.
Blu-ray Disc, Blu-ray, BDXL, AVCREC and the logos are trademarks of the Blu-ray Disc Association. 3GPP is a trademark of European Telecommunications Standards Institute (ETSI). CompactFlash is a registered trademark of SanDisk Corporation. Labelflash is a trademark of Yamaha Corporation. HEVC is a registered trademark of HEVC ADVANCE LLC. This product is furnished under U.S. and foreign patents owned and licensed by AT&T Corp.
Other product and brand names may be trademarks of their respective owners and do not imply affiliation with, sponsorship, or endorsement by owners. If you have any questions concerning this Agreement, contact us via legal@nero.com. © 2019 Nero AG. All rights reserved.